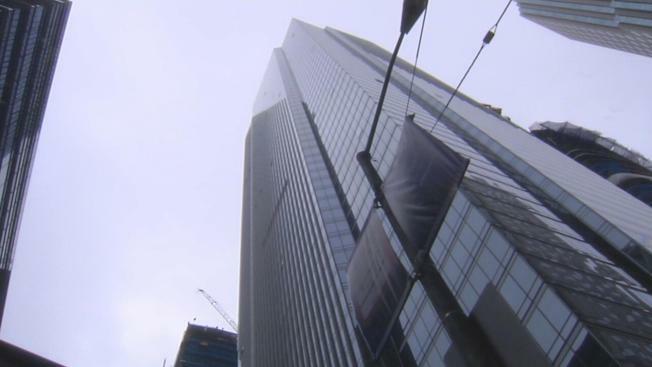 About a quarter of the Millennium Tower owners will get a slight break on their 2017 property tax bills on the leaning and sinking high rise, the San Francisco Assessor's Office has decided. The action amounts to an average $3,000 savings for about 100 owners who qualify and will cost the city about $300,000, officials say. There will be no property tax break, however, for 75 percent of the units. “That is a joke, that is absolutely absurd – we are not accepting that, that is not a reduction, that’s a joke,” said Pat Dodson, an owner who has led the challenge. She said the city is to blame for the problem in the first place, for allowing residents to move in without revealing that the building was sinking. “This is an outrageous decision – and we are going to fight this,” Dodson said. City Assessor Carmen Chu stressed that the property value at the time of purchase is a key element in determining whether current market fluctuations will merit a reduction. Sale prices during economic downturns, she said, would serve as a benchmark value for taxes. That means that any loss in value would not translate into a tax cut. The $3,000 average reduction for the 100 or so owners who do qualify reflects about a $300,000 loss in value. The decision for 2017 comes as more than 100 owners are appealing of their Jan. 1, 2016 property tax bills, a date that would not reflect the building’s spate of troubles that became public in August of last year. Still, more than 100 owners have disputed their taxes, saying their property values have sunk along with the building itself, which has settled some 16 inches and also tilting about as much to the north and west. A hearing on whether to hear the 2016 appeals en masse will be held Tuesday.